Sant Satram Dham (SSD) is a sacred holy place, at Raharki Sahib Sindh Pakistan. A great Saint Sai Satramdas Sahib was born in Raharki Sahib on, 25th of October 1866, to discard the ignorance from the minds of the people and to illuminate their minds with the eternal Truth. 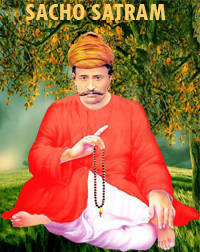 He spread the message of love and kindness everywhere through his divine teachings. 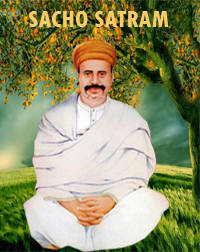 Saint Satramdas Sahib left this world to become one with the Lord Almighty on the 10th of January 1904. At present Hazuri Roop Saint Sadhram Sahib, a true successor of Saint Satram Das Sahib, from the lineage of the Saints of Raharki Sahib Sind Pakistan, is working for the noble cause of uplifting the humanity. 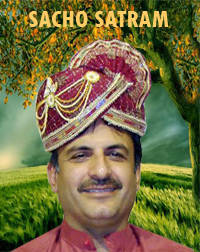 He is a spiritual master, the beloved of millions of people around the world. His beautiful magnetic smile spreads the message of happiness where ever he goes.His blessings and healing touch has given good health to people, and discarded their incurable diseases. His discourses have brought happiness in thousands of families and have radiated great warmth, kindness, and love upon humanity.Saint Sadhram Sahib asks people to practice meditation. Sai Sadhram Sahib says that Meditation is a very easy and a beautiful process to attain eternal oneness. He says that with all the worries, competition and complications in today’s life, meditation is the best way to keep one’s mind calm and positive. 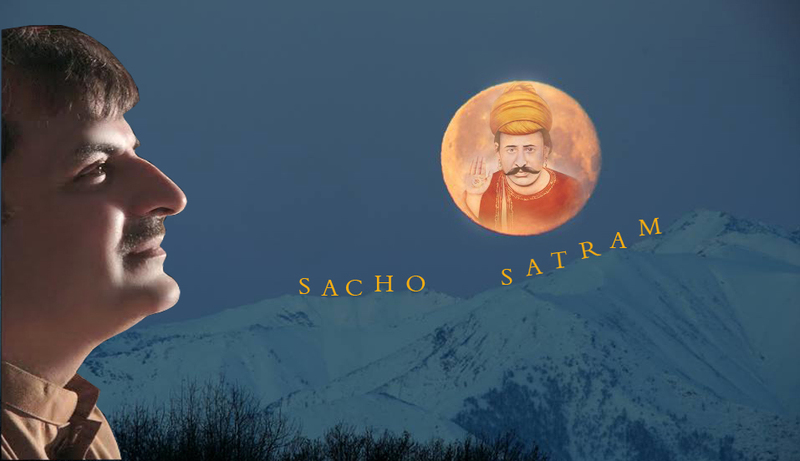 In his very popular and effective discourse on SACHO DHYAN, Saint Sadhram Sahib has very beautifully answered questions and clarified doubts related to the importance and the process of DHYAN (Meditation). He blesses people with whatever they ask for, from their pure and honest heart. He cares for us, heals us and dispels the darkness of negativity from our lives. Intense longing for the blessings of SATGURU can do wonders for us. He is the Founder of SSD mission, a non profit humanitarian community, which is a close network of thousands of volunteers serving for the noble cause of providing health care , good education and basic necessities to the needy people. SSD mission organises blood donation camps, free health check up camps and also distributes food and clothing to the poor and needy. It is dedicated to the upliftment of humanity.Saint Sadhram Sahib has transformed the lives of people all around the world. He teaches people to live life with confidence, humbleness and positive attitude. To know about the history of Raharki Sahib kindly click here.